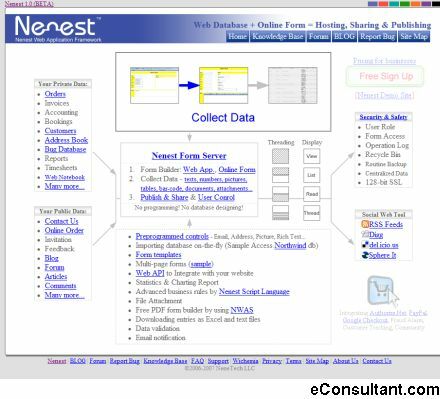 Description : Nenest is a form-based Web Application Framework , which enables anyone to easily build internet software supporting large databases such as Online Survey, Contact Us Form, Web Notebook, Online Storage, Online Store, and many many more… No programming! No HTML scripting! No database designing.